Why Get a Diamond Grading Report? Most consumer purchases of significant value come with important certified documentation. Houses have deeds. Vehicles have titles and registration. But what about something as important as a diamond? A diamond grading report isn’t an appraisal but a scientific blueprint of your stone’s exact qualities. GIA's Heritage as a research and educational institution means they are trusted to provide accurate, unbiased diamond evaluations. All GIA diamond grading reports contain a hologram, a security screen, and microprint lines as well as other security features that exceed industry guidelines. Simply put, they’re here to help you know what you’re buying. The most widely used and trusted means of verifying a diamond’s quality and provide positive identification is a Diamond grading report or Diamond Dossier. A GIA grading report provides an expert analysis of a diamond’s quality based upon the “4Cs” of diamond grading. 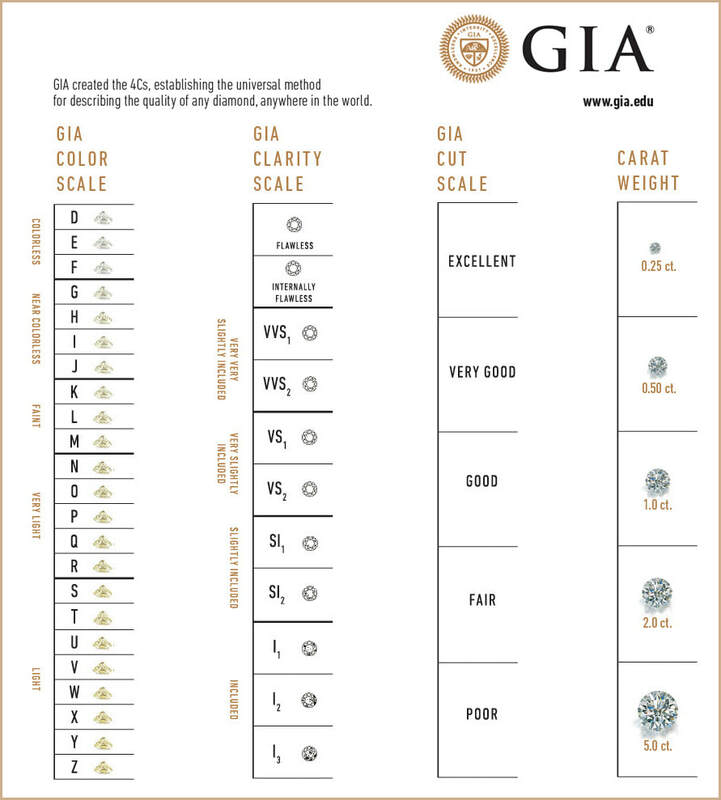 The GIA Diamond Grading Report also contains a plotting diagram that clearly shows the diamond’s unique inclusions and other clarity characteristics such as inclusions. It undergoes a technical screening process, determining its potential as a synthetic or diamond stimulant and is tested to ensure that the color is natural. Because GIA is not affiliated with any commercial enterprise, impartial and accurate analysis of a diamond’s quality and value is assured. GIA employs hundreds of highly trained diamond graders, gemologists, research scientists who scrutinize the diamonds and analyze them, depending on size, with as many as 40 pairs of eyes for each stone. GIA Laboratory experts have graded some of the world’s most famous diamonds, including the legendary Hope Diamond (45.52 carats) and the De Beers Centenary Diamond (273.85 carats). GIA’s laser inscription service can also be used for personal messages and anniversary dates. 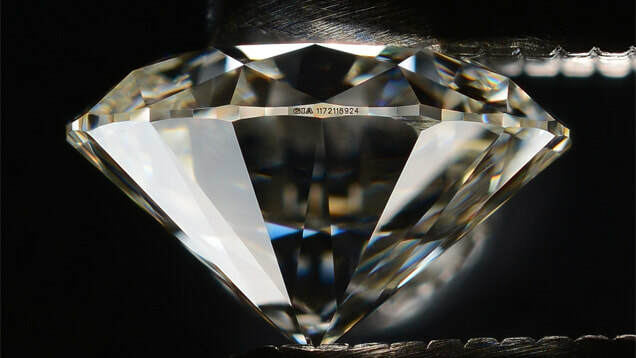 At the client's request, a diamond may be microscopically inscribed on its girdle with its unique GIA Report Number (referred to as the GIA Inscription Registry), a personal message, or other text, symbols, or logos. An inscription allows for easy identification of a diamond, a way to personalize the diamond.